This playbook is meant for all Microsoft partners—including SIs, hosters, resellers and VARs—looking to tap into this massive opportunity and set up a managed services business on Azure. 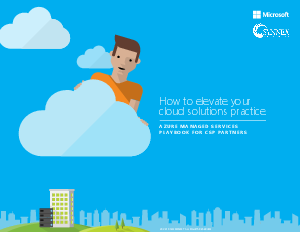 This book provides a framework for those looking to build a managed services practice—and some best practices for those who are a little further along on their cloud MSP journey. This book is especially valuable for partners who are either transacting or looking to transact via the CSP platform and license structure. The insights in this playbook are sourced from interviews and surveys with more than 50 Cloud MSPs. These interviews were conducted by AMI Partners Inc.